Dr. Paul Hewitt is a Professor in the Department of Psychology at the University of British Columbia. He is registered clinical psychologist and completed his clinical internship at the University of Washington, School of Medicine in Seattle, Washington. He is a Fellow of the Canadian Psychological Association and of the Association's Section on Clinical Psychology. Dr. Hewitt was cited as one of the top 10 Canadian clinical psychology professors for research productivity. He has published over 200 research papers, books, and chapters on perfectionism, psychopathology, and psychotherapy. 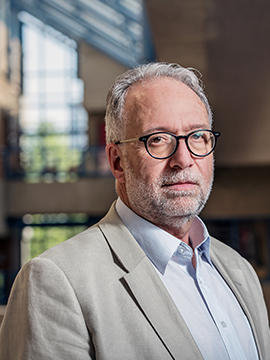 Dr. Paul Hewitt's research interest focuses primarily on personality vulnerabilities and their implications for psychological difficulties among adults, adolescents, and children. In particular, he has conducted extensive research on the construct of perfectionism as a maladaptive and multidimensional personality trait and interpersonal style that is related to problems such as suicide, depression, personality disorders, and relationship, achievement, and health problems. Additionally, he is conducting research on the treatment of perfectionism and provides assessment and treatment for individuals with perfectionism problems and trains clinicians in the treatment of perfectionistic behaviour. Theoretical/Clinical Orientations: Psychodynamic; Interpersonal dynamic (Sullivanian). Hewitt, P. L., Flett, G. L., & Mikail, S. F. (2017). Perfectionism: A Relational Approach to Conceptualization, Assessment and Treatment. New York: Guilford Press. Hewitt, P. L., Flett, G. L., Mikail, S. F., Kealy, D., & Zhang, L. (2018). Perfectionism in the Therapeutic Context: The Perfectionism Social Disconnection Model and Clinical Process and Outcome. In J. Stoeber (Ed.) The Psychology of Perfectionism: Theory, Research, Applications. New York: Routledge. Miller, R., Hilsenroth, M. J., & Hewitt, P. L. (2017). Perfectionism and therapeutic alliance: a review of the clinical research. Research in Psychotherapy: Psychopathology, Process and Outcome, 20(1). Hewitt, P. L., Mikail, S. F., Flett, G. L., Tasca, G., Flynn, C.A., Deng, X., Kaldas, J., Chen, C. (2015). Psychodynamic/Interpersonal group psychotherapy of perfectionism: Evaluating a short term treatment. Psychotherapy, 52(2), 205 -217. Flett, G. L., & Hewitt, P. L. (2014). “The perils of perfectionism in sports” revisited: Toward a broader understanding of the pressure to be perfect and its impact on athletes and dancers. International Journal of Sport Psychology,45(4), 395-407. Hewitt, P. L., Caelian, C. F., Chen, C., & Flett, G. L. (2014). Perfectionism, stress, daily hassles, hopelessness, and suicide potential in depressed psychiatric adolescents. Journal of Psychopathology and Behavioral Assessment, 36(4), 663-674.